It’s that time of year again! The time of year little Susie thought would never come, so boy is she excited! We just hope for your sake that she doesn’t ask for another pony as a birthday present. It’s also that time of year that “parent panic” sets in. Sound familiar? Well don’t worry, mom and dad. While you’ve been busy doing life, we’ve been doing all the birthday planning for you from great activities for kids to the best themes and we’re sure you and you’re kids are going to like what we’ve cooked up. The best part? We’ve listed the top trending kids birthday party themes that can work for boy or girl so that you’re 100% covered! That’s right, rainbows are in! 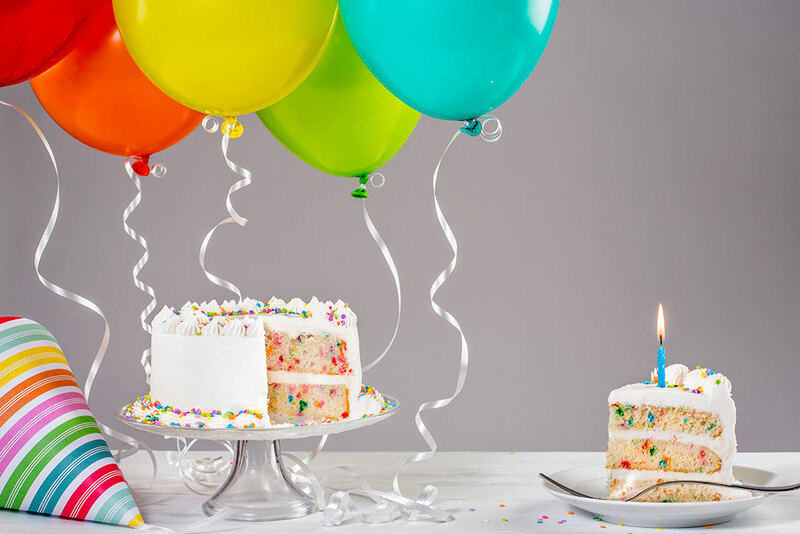 From multicolored Funfetti cakes to colorful confetti, this theme has everything you need to make your child’s birthday stand out from the crowd. There are endless colors at your fingertips, making this the simplest, yet, most stunning option on our list. A useful tip: Skittles, sprinkles and even Fruity Pebbles will be your best friend. Who knew those little plastic characters from your childhood would still be relevant today? They are in a big, big way thanks in part to the Lego Movie. Legos not only are easy to make into life-size decorations using wrapping paper and cups, those tiny pieces you already have laying around the house can be put to use as a building contest for the kids or even containers for utensils. Throw in a Lego movie, have a Lego piñata, and even make Lego shaped food! Your little Lego-lover will be in Lego heaven! This is a birthday idea for the warmer months, unless of course you want to get creative in the living room or happen to live in the desert. We’re looking at you Arizona. The great outdoors allow the kiddos to be outside singing songs by the campfire, eating s’mores, and telling ghost stories in their tents. For girly girls, a great take on camping is a new fad called glamping. Glamorous Camping, yes it is quite real. The best thing about camping is its easy to clean up, there is minimal decorating required, and its kid approved. Umm yes please! So much color, so many smiling characters, and Elmo is invited too? You can’t go wrong with this tried and true kid favorite. And what’s more, you can even turn this into a learning opportunity, what with all those catchy sing-a-long songs. For those parents who may not have a ton of time to invest in making decorations and setting up, you can find a ton of Sesame Street specific decorations at big name retailers like Party City. You can find games, costumes, and everything else to bring your party to life online, too! You’re welcome, my friends. Party on!